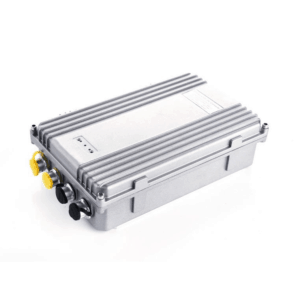 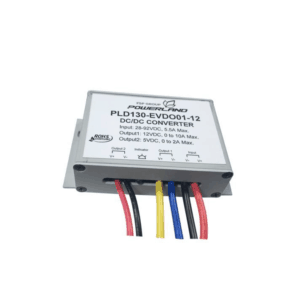 The 500 Watt EVD series is a ruggedized DC-DC converter suitable for electric vehicle, marine, industrial and other applications that draw power from a bank of batteries or other high DC voltages. 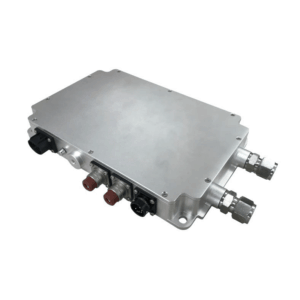 It is used to supply power to accessories, lights, instruments, etc. 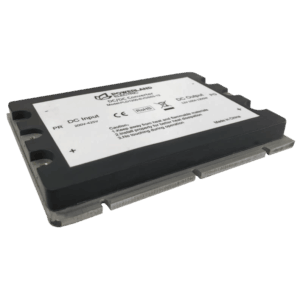 Features include fully Isolation, high reliability, efficiency up to 93%. 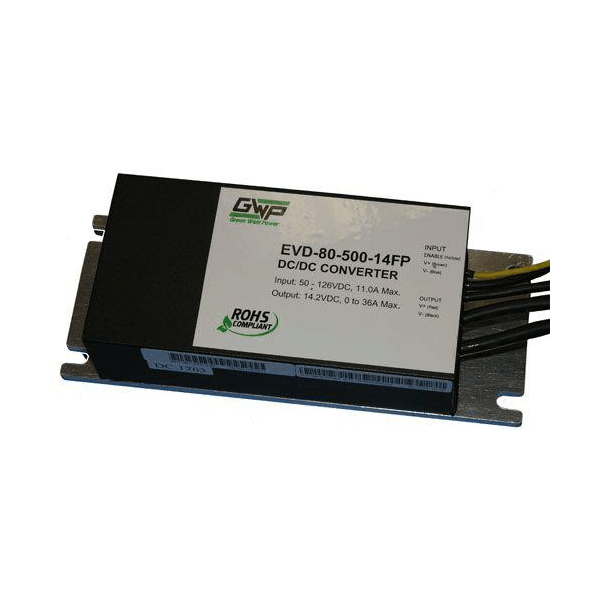 Parallel Connection up to 10 converters.